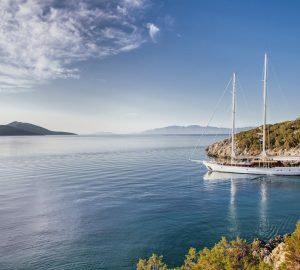 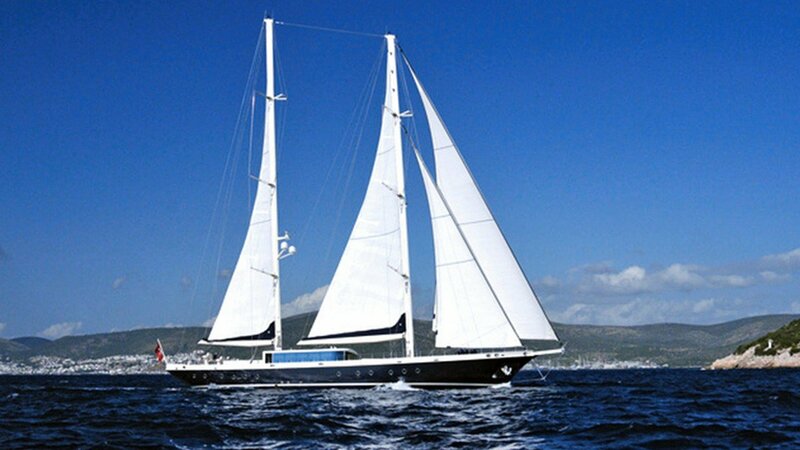 Luxury S/Y TUYIKA S (ex JASMINE FOREVER) was built and launched in 2011, she is a traditional Gulet with a schooner rig and measures 36.6 meters in length (120ft), the yacht can accommodate up to 10 guests in 5 cabins and is available for charter in the Eastern Mediterranean. 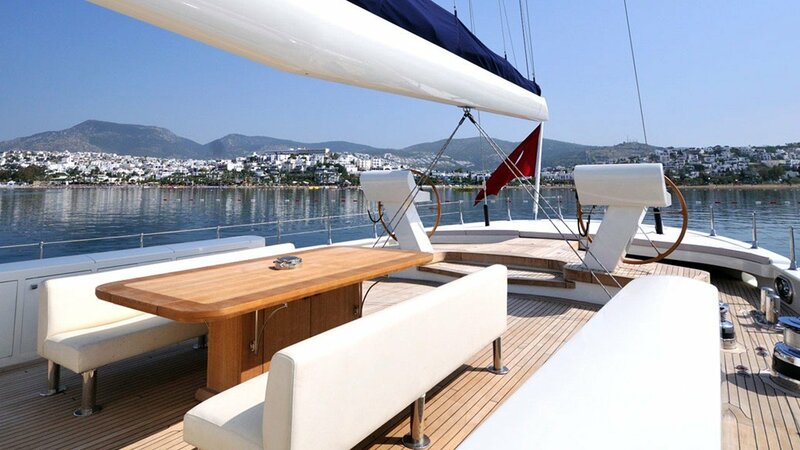 Motor Sailing yacht TUYIKA S has a modern and spacious interior. 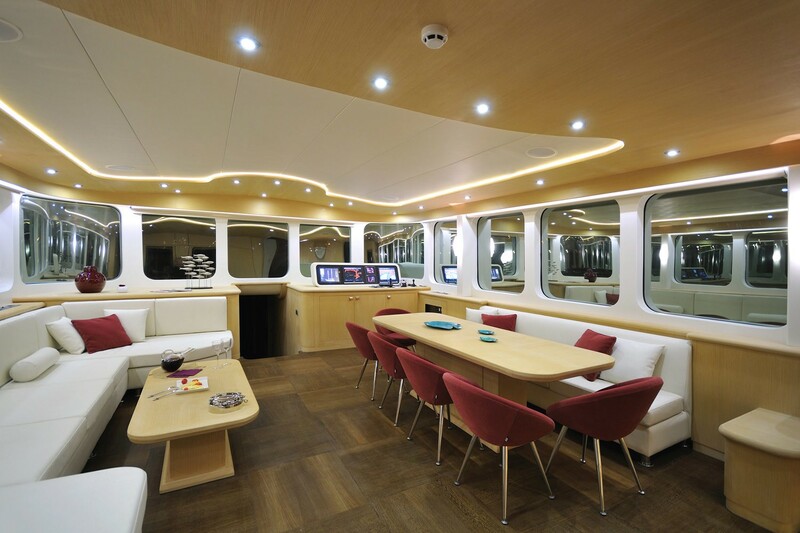 A raised deckhouse offers the salon and dining in an open plan, the space is light and airy with wrap around windows. 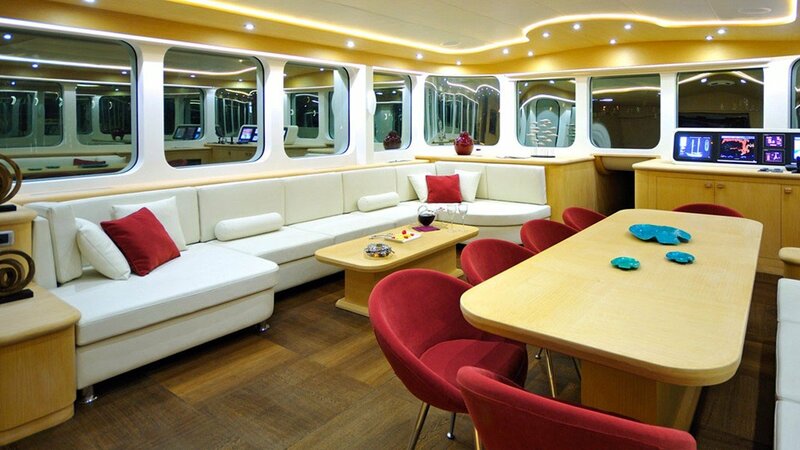 A large crisp white sofa with a coffee table invites relaxation on the port side, while the formal dining area is ample with seating for up to 10 guests on the starboard side. 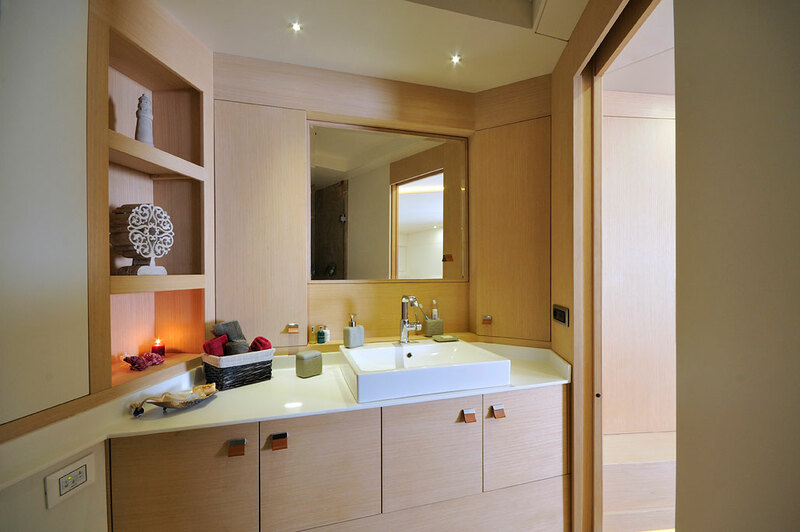 The décor is simplistic and neat with dark wood floors and pale wood structures, subtle overhead lighting creates a warm and friendly atmosphere. 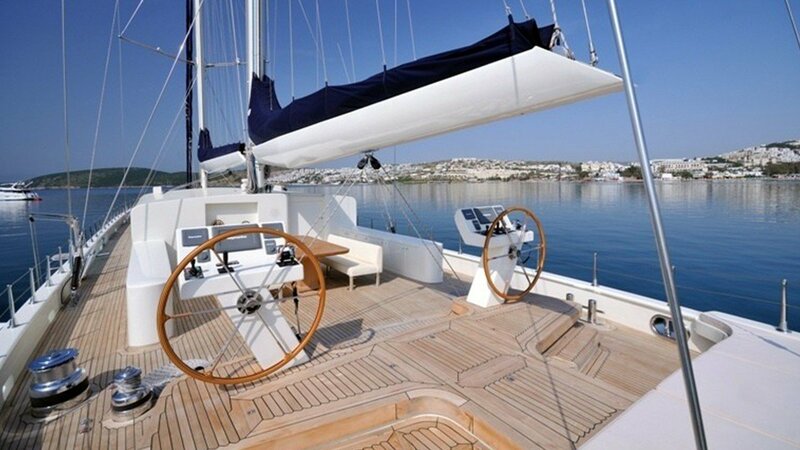 Sailing vessel TUYIKA S has plenty of exterior living areas, in traditional Gullet style the aft deck offers a full beam aft sun pad, an alfresco option is just in front but separate from the dual helms. 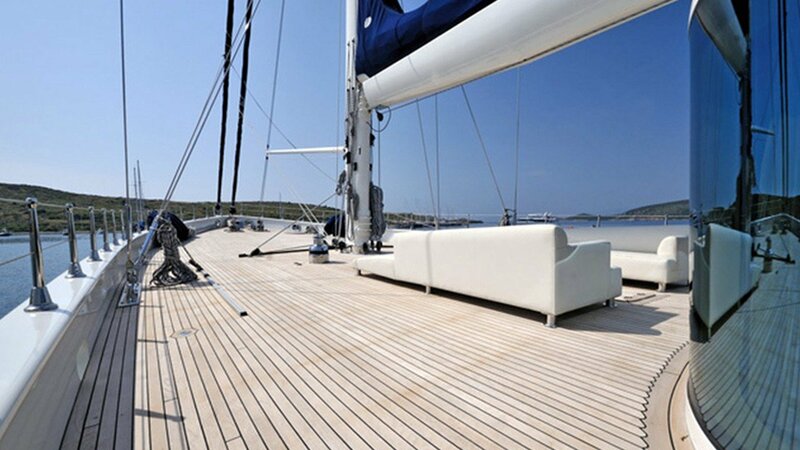 Forward the flat teak space offers further sunning and lounging areas on 2 massive chaise lounges. 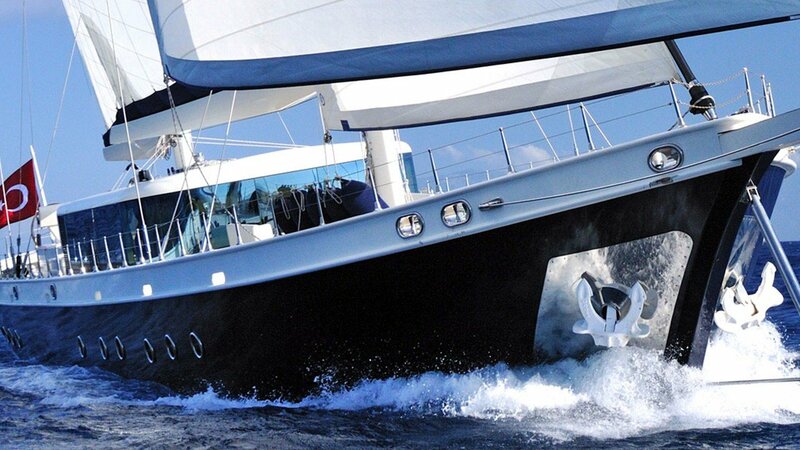 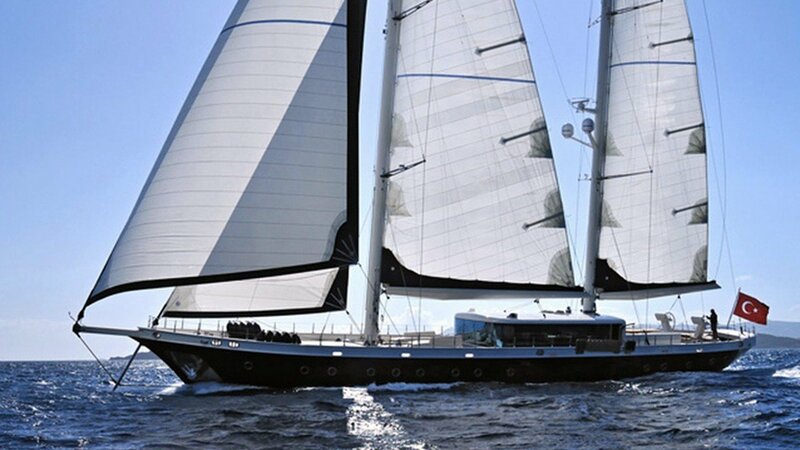 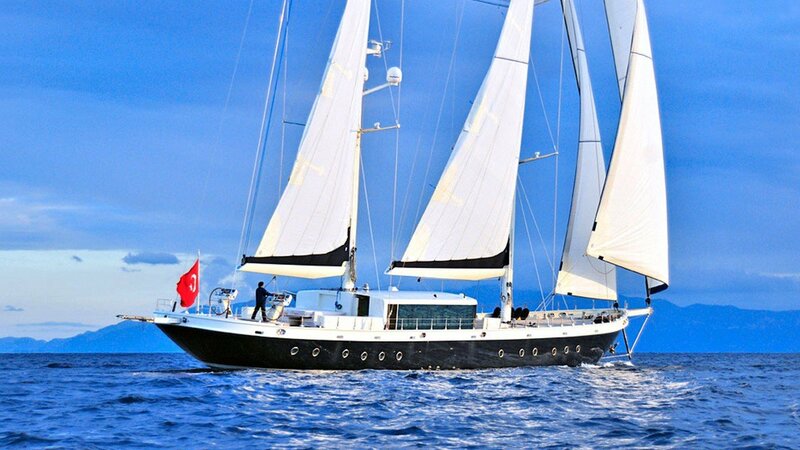 Charter yacht TUYIKA S has a beam of 7.9 meters (26ft) and draft of 4.8 meters (16ft) and cruises at 11 – 13 knots. 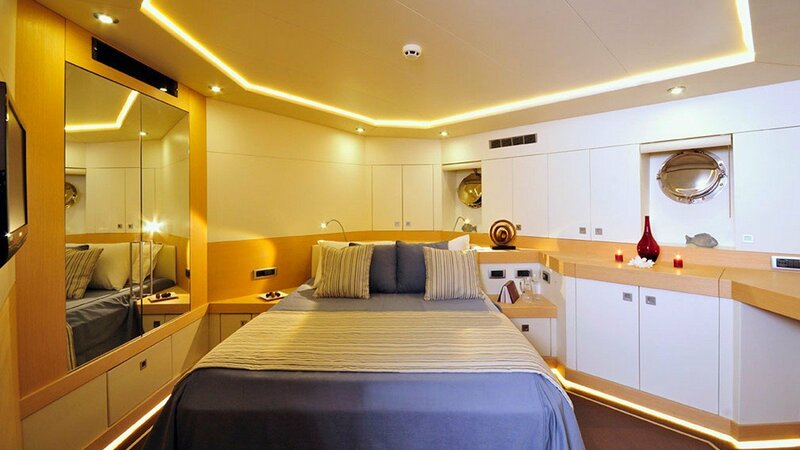 Luxury sailing yacht TUYIKA S can accommodate 10 guests in 5 roomy cabins including 1 master cabin with a king size bed, 2 double cabins and 2 twin cabins. 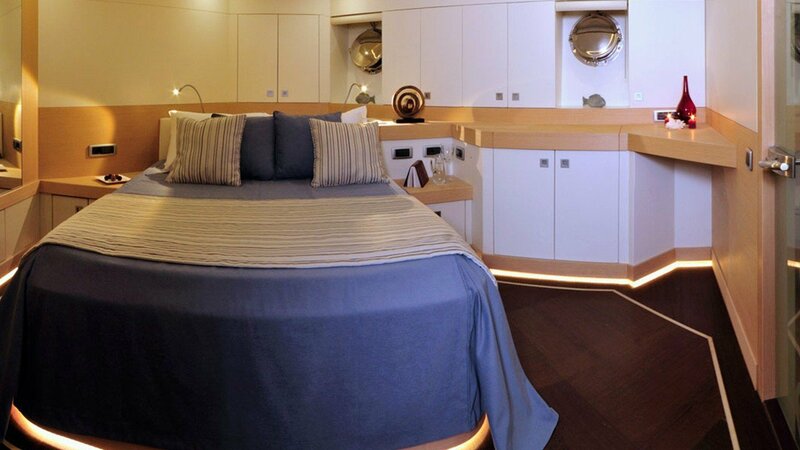 Serene mood lighting gives the cabins a unique vibe. 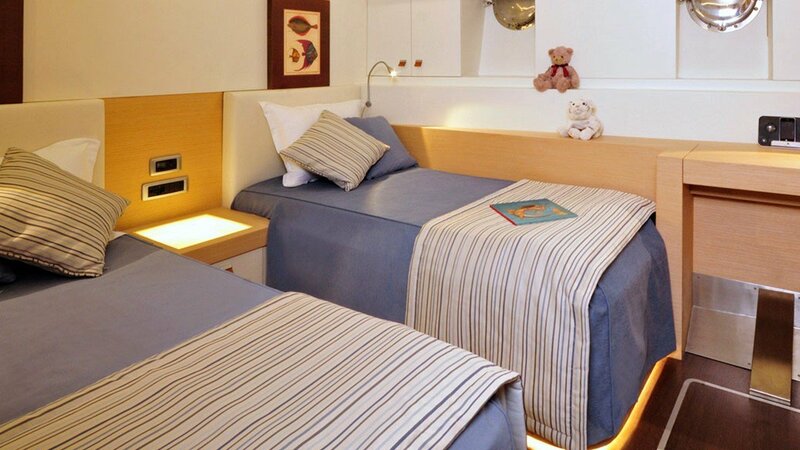 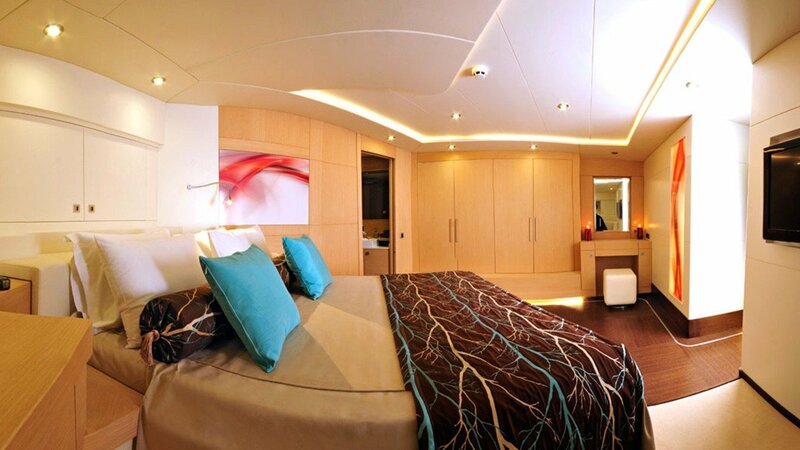 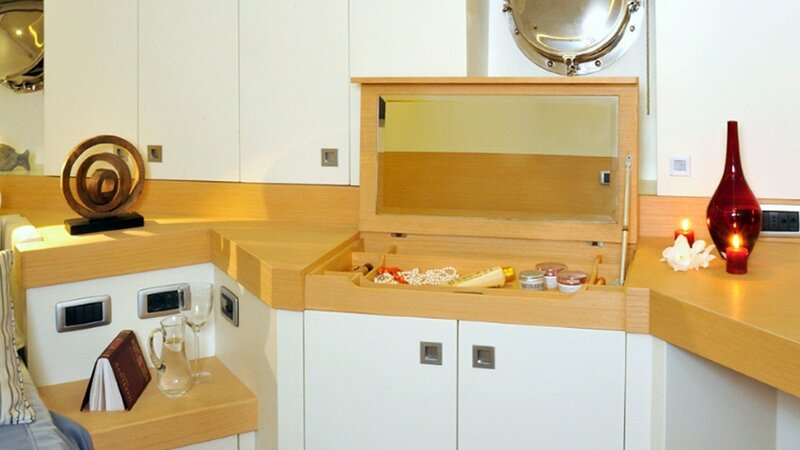 All cabins are spacious and feature dark wood floors with light wood paneling, Vanity, TV, I-pod docking station, stereo and en-suite facilities.